Dublin were waltzing their way into the history books, yet there was a noticeable lull in the Croke Park atmosphere. Beating a young and timid Roscommon team by 35 points does not surprise nor excite The Hill anymore. Not only do they expect it, there is a cohort of Dublin fans growing up who don’t know any different. They forget the eons in the wilderness. The Royal neighbour collecting All-Irelands. The false dawns. The Croke Park annihilations. The sixteen barren years. But when Kevin McManamon picked up the ball on the 21 and ran straight at a tired Kerry defence in the 2011 All-Ireland final, it all changed. Two years later, Jim Gavin took over and we watched in awe and envy as the greatest football team of a generation came into being. But Gavin’s Gang grew up listening to stories of former heroics. Of “Heffo” and the team that saved the GAA in the capital. Of Jimmy Keaveney, Tony Hanahoe, Brian Mullins. A team involved in the greatest rivalries in the history of the sport. A team that transformed it all. As this current Dublin team ambled down the tunnel, 35 games unbeaten, many pondered the question: “Heffo’s Army” or “Gavin’s Gang”? Much has been written of the state of the GAA in the capital in the 60s and early 70s. 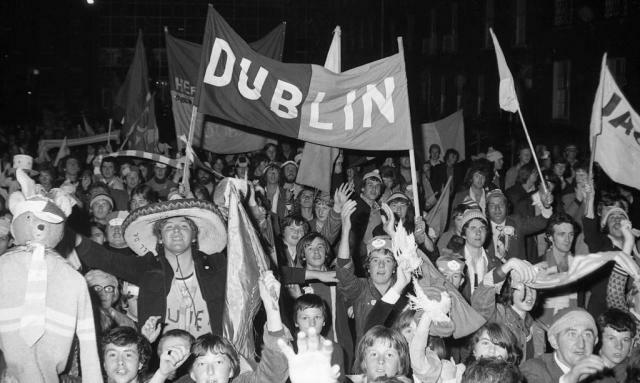 Soccer was number one in urban, working class areas and Dublin hadn’t even won a Leinster since 1965. But when Kevin Heffernan took the job that few wanted in 1973, nobody could have imagined that within a year they would be Leinster and All-Ireland champions. Nowadays, we take the physical fitness of senior footballers for granted. But back in the 70s, having a Leinster semi-final the next morning would not be a valid excuse to forego a lash of pints and a pack of Harries. But Heffo changed that, introducing hellish training regimes that would give Dublin an advantage that no one else had. A slightly out of shape Jimmy Keaveney was coaxed out of retirement and dragged to his physical peak. 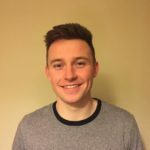 He is now one of the most highly regarded forwards in Dublin’s history. Dublin GAA was transformed. All of a sudden, sports people of the capital had a new and successful team to support. Not only did Dublin fans have new heroes on the pitch to idolise, as their team went on to claim 4 All-Irelands in a decade, they also had a manager to worship. It is said that what set the Dubs apart during this time, was their ability to outlast their opponents. The final quarter of a game was when they were strongest, due to their superior fitness. Only one team would eventually match them in this department. Kerry, of course. One thing this current Dublin team lack is a great rival. 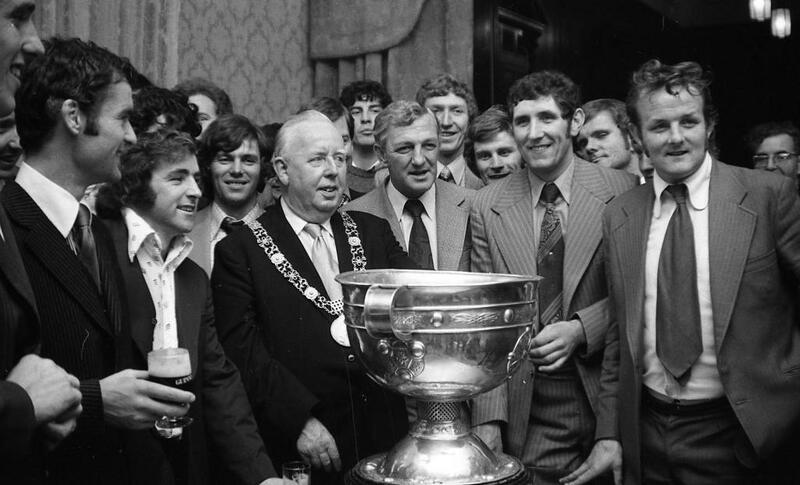 Had Micko’s great Kerry team not been around, it’s hard to imagine that we would yet be able to compare Gavin’s men to that 70s team, in terms of silverware anyway. Forgive my use of an extremely annoying cliché, but in many ways, this rivalry transcended sport. Yes, some of the greatest players, and arguably the two greatest managers of all time were involved. But more importantly to many, this represented the ultimate urban-rural battle. 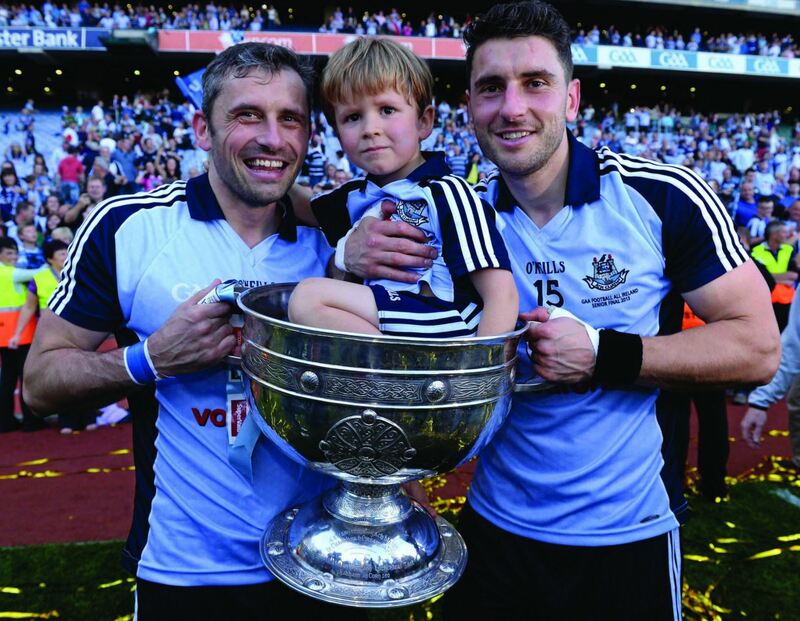 Are the saviours of Dublin GAA the greatest it ever produced? Let us talk factually here, for a minute. 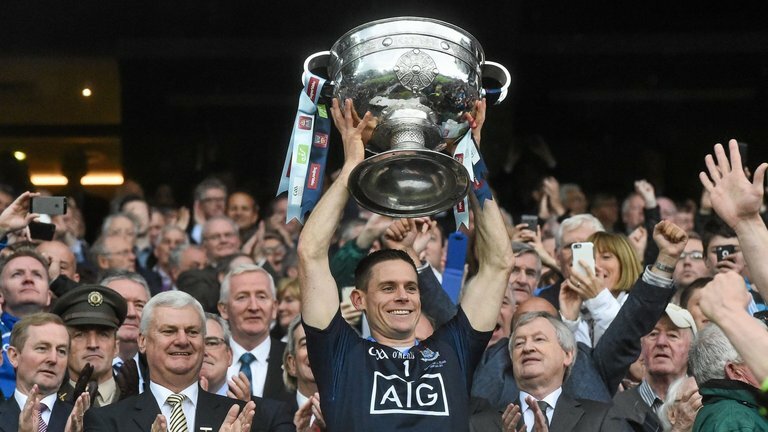 While many are quick to lambaste the current state and entertainment value of Gaelic football, there is simply no denying that we are now witnessing levels of skill higher than any other era. I’ll admit that we see many dour matches nowadays, but 90% of football during the so-called “golden generation” of the 1970s wasn’t very pretty, either. Poor decision making, questionable officiating, and a general lower standard of skill, resulted in manic but frustrating games of football. This makes attempting to debate who would come out on top between Heffo’s lads and the current team, quite redundant. There is no doubt what the outcome would be, considering Connolly, Philly, Bernard and co. are professionals playing in an amateur sport (which is an issue for another day). Ignoring the obvious advantage Dublin have financially and resource-wise, you have to just sit back and admire this team. 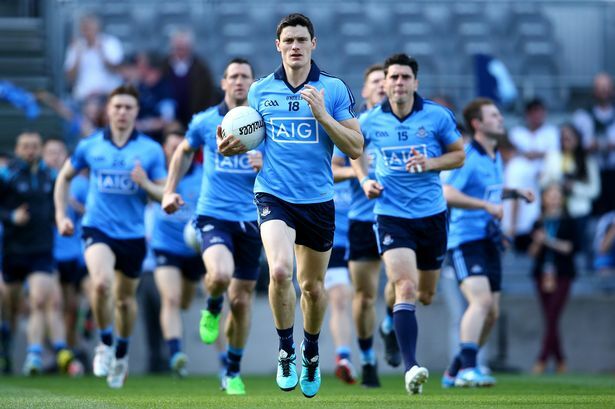 Throw as much money as you like at something, it is surely pure fluke that players the likes of Diarmuid Connolly, James McCarthey, Paul Flynn (at least five other names could be mentioned here), have all been around at the same time, and chose to give their lives to Dublin football. 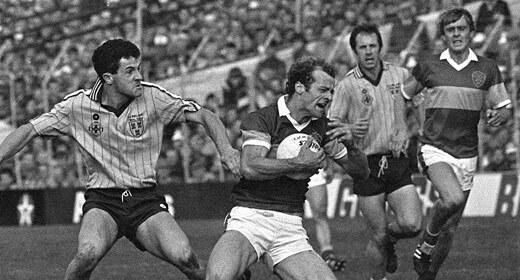 Like the team of the 70s/80s, this team have also won four All-Irelands. But they did it in nearly half the time. This year, they will go in search of their 12th Leinster championship in thirteen years. While Gavin can only take credit for four of them, 35 games unbeaten is a record that only he can boast as a manager. We can judge the quality of the opposition in Leinster all we want, but in a time when football is at its peak skill-wise, this Dublin team is streets ahead. They are certainly not finished yet, either. This unbeaten run will be halted at some stage, but this year? Next year? I’m not sure. This Dublin team will go on to become the most successful they’ve ever had, of that I am sure. I’m not suggesting that they cannot be beaten, considering Mayo and Kerry have come extremely close in recent years. But I cannot envision anyone consistently competing with Dublin for the top honour, over the next few years. This is a special group of players, and no matter how effective Dublin are at churning out players, athletes like Brogan and Connolly only come along once in a generation. Their dominance will not last forever. But if I ever see a Dublin team like theirs again in my lifetime, well, boy, I’ll eat my hat. As the twenty thousand or so crowd left Croke Park after the obliteration of Roscommon, I wondered whether they realised how lucky they are. With every victory they witness, I wonder do they think back on their envy of neighbours, on their false awakenings, on their Croke Park embarrassments. Do they spare a thought for those sixteen fruitless years? Things can change very quickly in sport. Just ask a Cork or a Meath man. 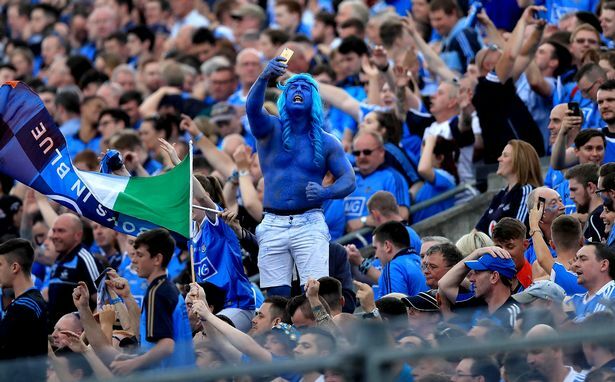 Dublin fans are watching their greatest ever team. I hope they appreciate that.